With Birthday Party Bash (It's My Birthday! in Europe) birthday parties will never be the same. 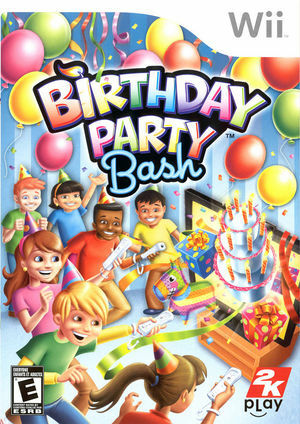 Up to 12 partygoers can whack, roll, splash, pop, and shimmy their way through over 20 birthday games, including twists on classic favorites like Piñata Blast, Duncan Hines Cake Stacker, and Birthday Blowout. The graph below charts the compatibility with Birthday Party Bash since Dolphin's 2.0 release, listing revisions only where a compatibility change occurred.